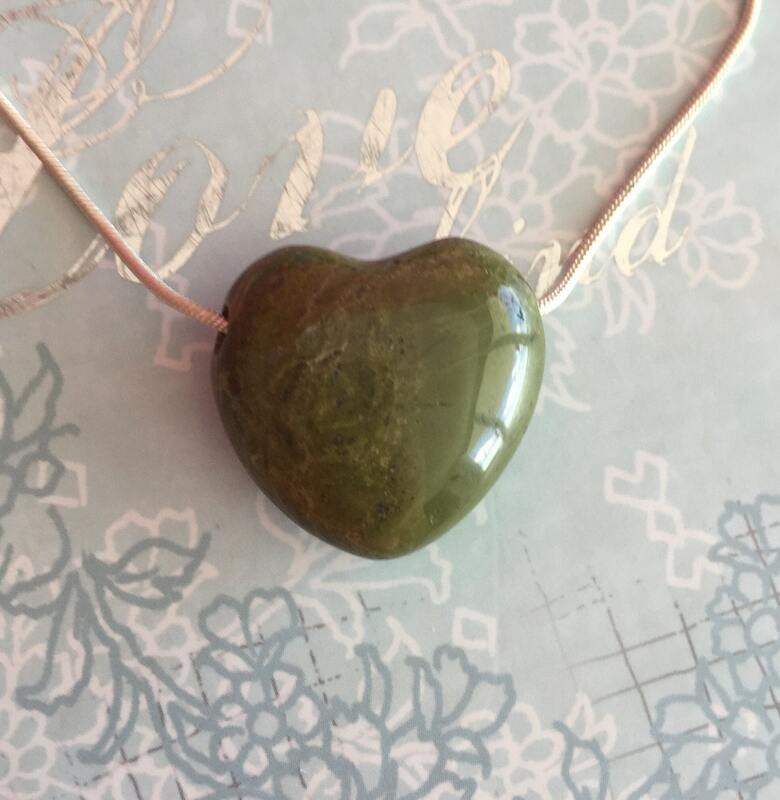 Receive this premium quality Green Unakite Heart Crystal Pendant with a necklace. These beauties have a gorgeous specks of green and pink. Wear Unakite to provide balance during times of change. 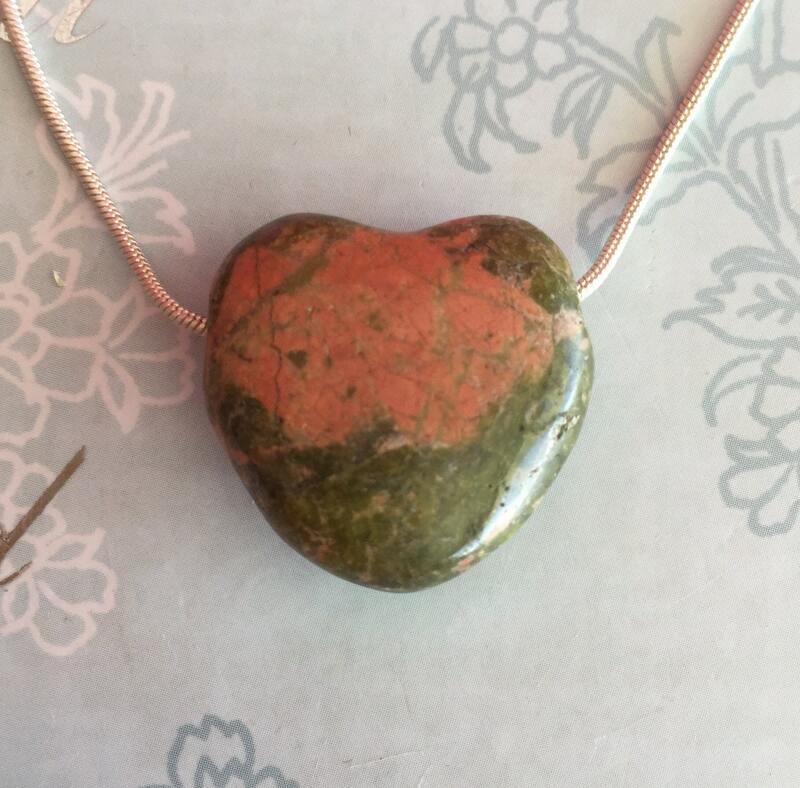 Unakite Jasper crystal hearts resonates with the frequency of love, compassion and kindness, and is a crystal perfect for balancing the emotions. Unakite Jasper brings together the abundant, nurturing energy of green with the soft, caring passion of pink in one of Nature's most healing crystals of the heart and mind. 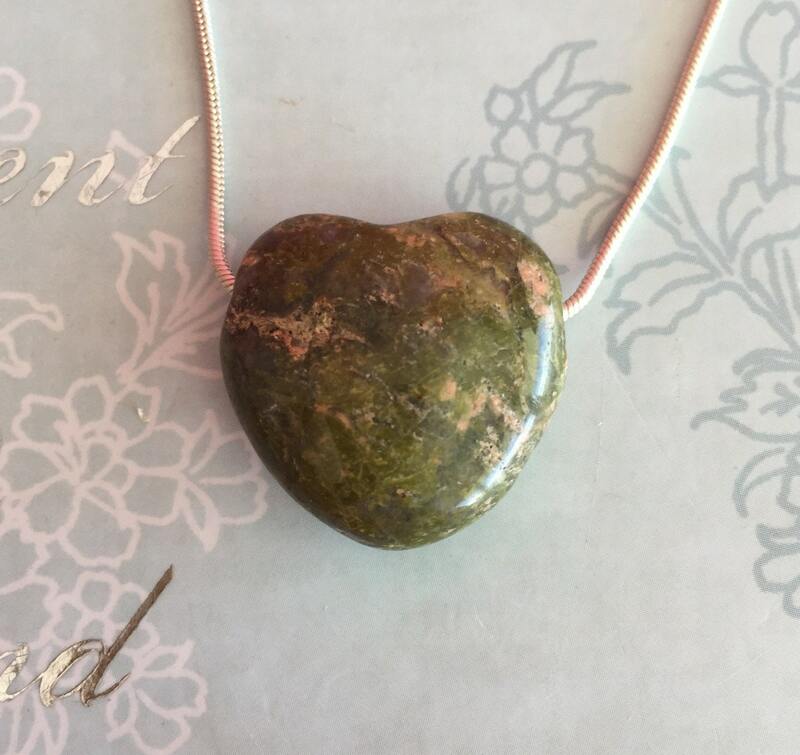 It resonates with the frequency of love, compassion and kindness, and is a stone dedicated to balancing the emotional body. Great for balancing the Heart Chakra. SIZE- The Heart measures about 1" inch. CHAIN-Your choice of 16- 22 inches in length and 1.5mm thick with a silver lobster claw closure. Arrives in a silver cotton filled gift box. Listing includes SAME Heart seen in pictures.